Would you like to help Friendship Donations Network in our mission to rescue food and reduce hunger? Food pickups and sorting – Our volunteers pick up food donations from grocery stores, farms, farmer’s markets, schools, and other food outlets and deliver it to FDN headquarters or directly to one of our food distribution partners that feed people in need. Sorting happens at Wegmans and at FDN in the Just Be Cause Center. Some shifts are regularly scheduled, others are ‘on call’. Phone Team – These individuals sign up each month to have our phone number routed to them on weekends, holidays or weekdays when our Coordinator is away. Each phone shift is 10am–3pm. You will be paired with an experienced phone volunteer until you are comfortable on your own. Social media – Facebook, Twitter, Instagram, e-News – you name it! We are always looking for ways to share the FDN story. If you consider yourself a writer, whether it’s 140 characters at a time, or a whole “spotlight” article, then we can use you! Photographer – We need fresh and interesting photos of FDN in action. Help us spread the word! Volunteer Outreach – FDN would not exist without our volunteers. We want to be sure that we are answering all of their questions, making sure they are comfortable with their experiences, and appreciating them as they deserve. If you want to learn more about their stories, and help ensure they remain engaged, this spot might be for you! Recipient Partner Support – Help us nurture the relationships with our recipient partners that distribute food from FDN. Get to know them, learn how FDN can support their efforts, ensure they are receiving the appropriate match of donations, connect them with resources to responsibly handle excess food. Community Outreach – Table at events, make presentations about FDN to community groups, faith communities, school groups. Neighborhood Food Hubs – Our seasonal project that makes it easy for gardeners to donate produce. Opportunities include Hub Holders (host a hub), Hub Helpers (assist the hub holder as needed, or collect produce from a hub at the end of the day) and Hub Coordinators (support Hubsters, logistics, communication). Facility Maintenance – Help keep our FDN home in the Just Be Cause Center clean and organized. 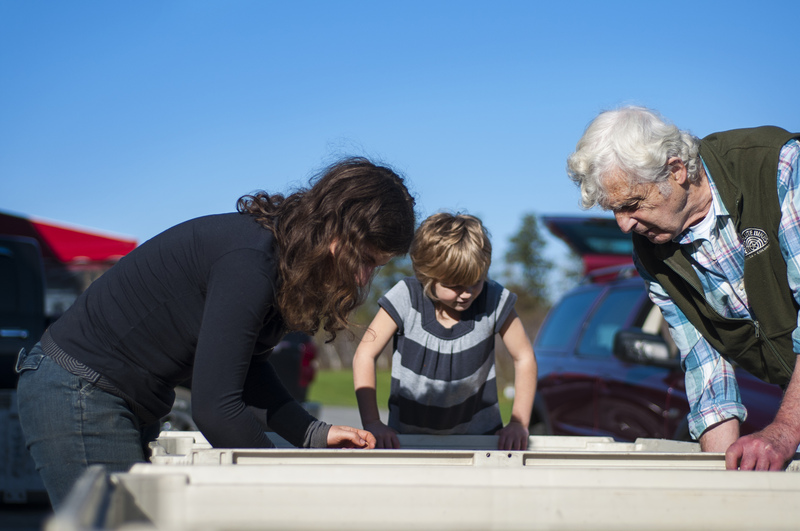 Gleaning – Work with area farmers to collect food that would otherwise be left un-harvested. Skills & Contributions – If you have skills, ideas, knowledge, or other things you want to contribute, we will always welcome them. We often need help in the below areas, but are open to others.